Mayday Parade is coming to Stage AE on Friday 28th April 2017 to give fans the best night of their life! The band holds an esteemed reputation of getting better all the time. So what are you waiting for? Don't miss this exciting event! Tickets are on sale NOW! 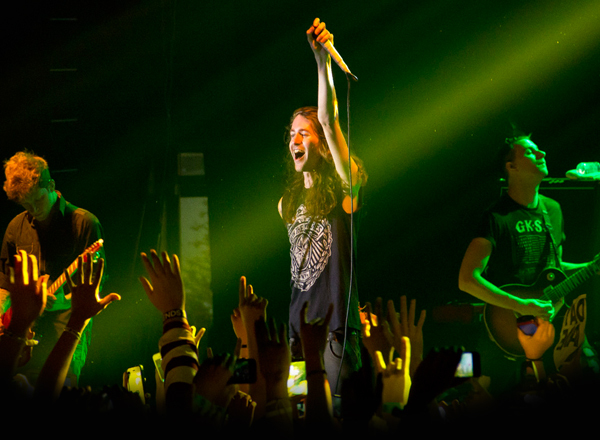 Music is the main driving force behind Mayday Parade's rise to fame. Without any label support, the band has managed to sell 50,000 copies of their debut EP 'Tales Told by Dead Friends', released in 2006. With sheer tenacity and determination, they got music fans buzzing about their music as they sold their EP to concert viewers of the Vans Warped Tour. Eventually they also got themselves to perform alongside notable bands such as Plain White T's and Melee. With a growing following, they were signed with major label Atlantic in 2009. After releasing one album after the other, the band's critical and commerical success also grew in leaps and bounds. Their self-titled album and and fourth album "Monsters in the Closet" reached the number 12 and number 10 spots, respectively in the US Billboard 200 chart. Mayday Parade is not your average millenial rock band. They have ingeniously incorporated a myriad of genres like emo, pop, and punk, with some experimentations on symphonic rock. Hence, their music appeals to a cross-section of generations of rock afficionados.